These raku tongs are available in four different shapes to suit all size and shaped pots. 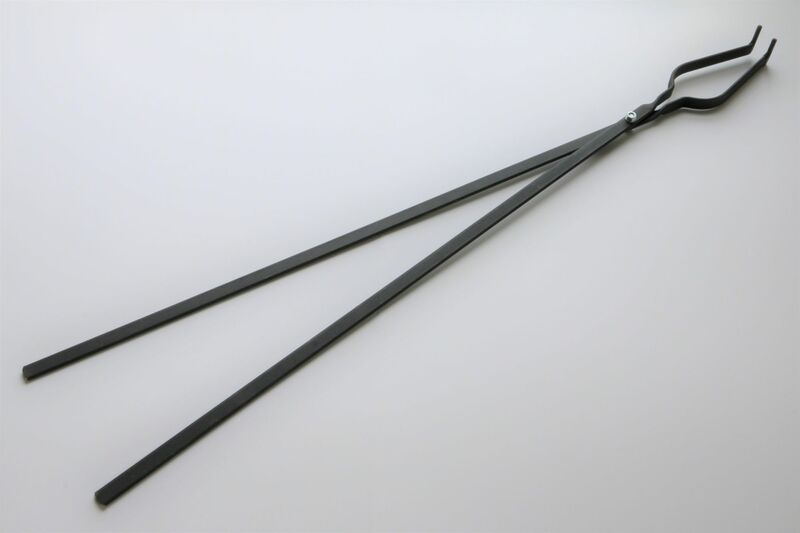 Pots may be gripped around the neck or by their edge using the pins on the end of the tongs for a safe grip. RT4 size is for smaller pieces and clasping narrow necks. Maximum internal diameter of jaws when closed is 3.75cm. Length of jaws from end pin to bolt is 21.5cm. Will open to take pots with a diameter of approximately 8-9cm. Approximately one metre long and weighing 1.2kg (2.65lb).